This very rare double was discovered in 1992. 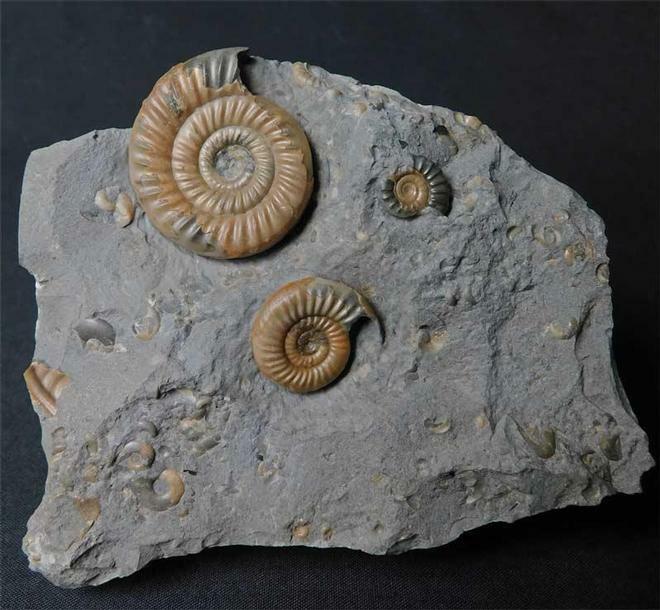 Both ammonites have been preserved in solid calcite. 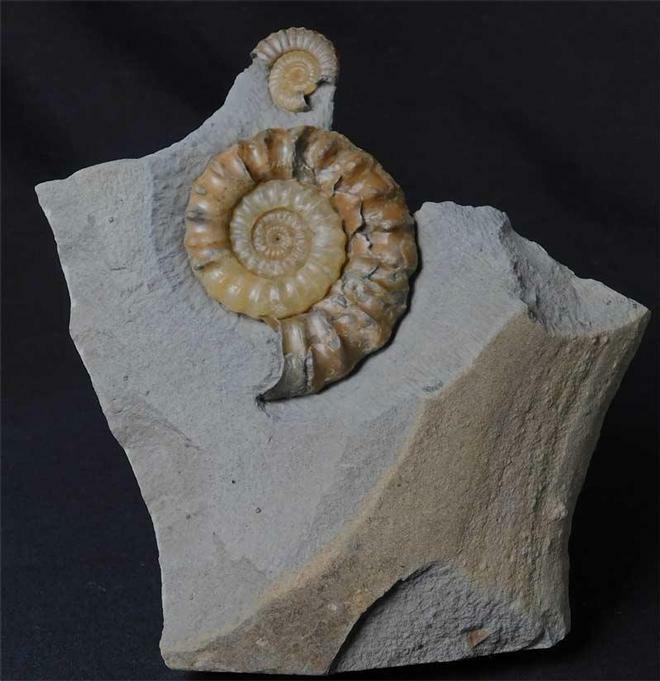 The very centre of the larger Epophioceras has not been preserved and has been left natural, as serious collectors would want this. 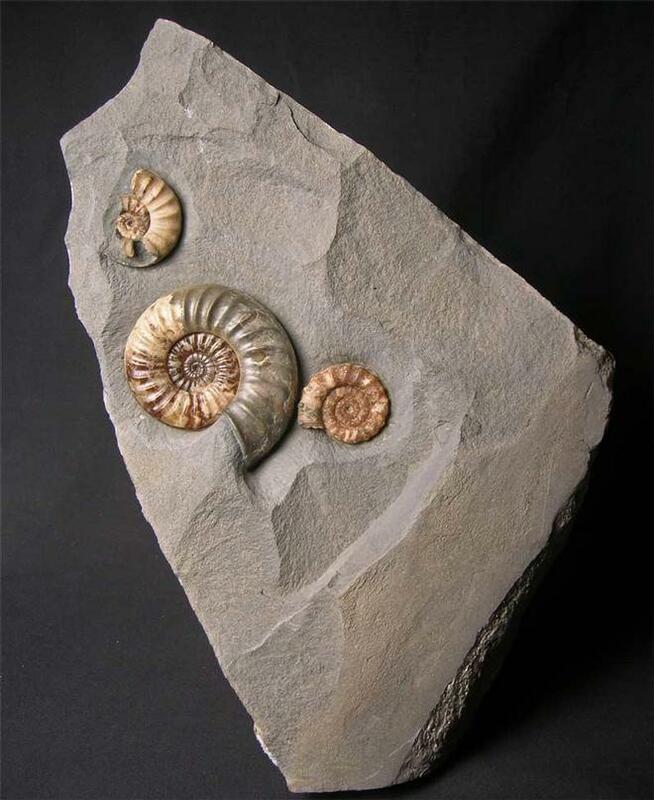 The smaller of the ammonites has an immaculate centre. Approximately 200 million years old. This beautiful solid calcite example has nearly all of its spines preserved and an immaculate centre. The matrix has a flat base for upright display purposes. Also above the Xipheroceras lies a Promicroceras sp with a predatory bite mark taken out of it. 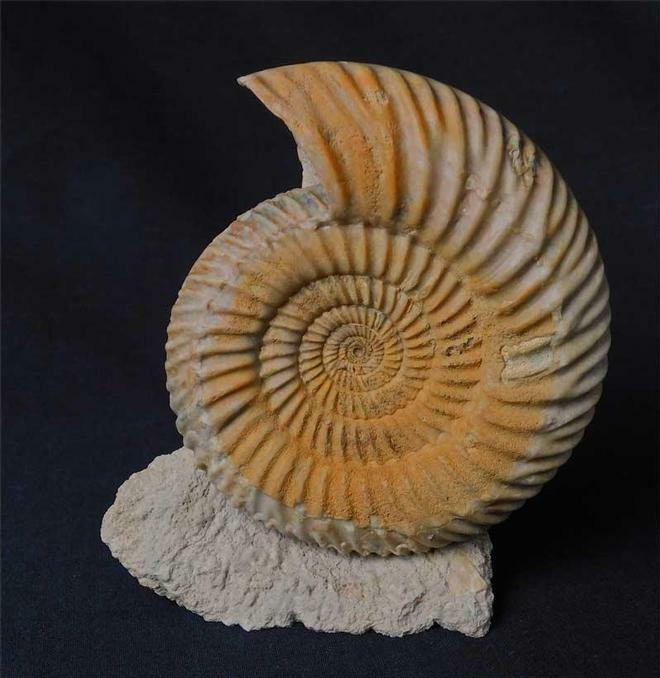 A lovely piece for the collector which is approximately 200 million years old.